Join host Alan Seltzer on “The Grooveyard” Saturday night at 7 PM when we feature artists celebrating birthdays this month. We’ll share a six-pack of hits by Bobby Vee, who was born on April 30. The birthday celebration continues when The Grooveyard Top 10 features the hits of April 10. 1955–the week Alan Seltzer was born. We’ll also play more of your favorites during the Grooveyard Party hour. 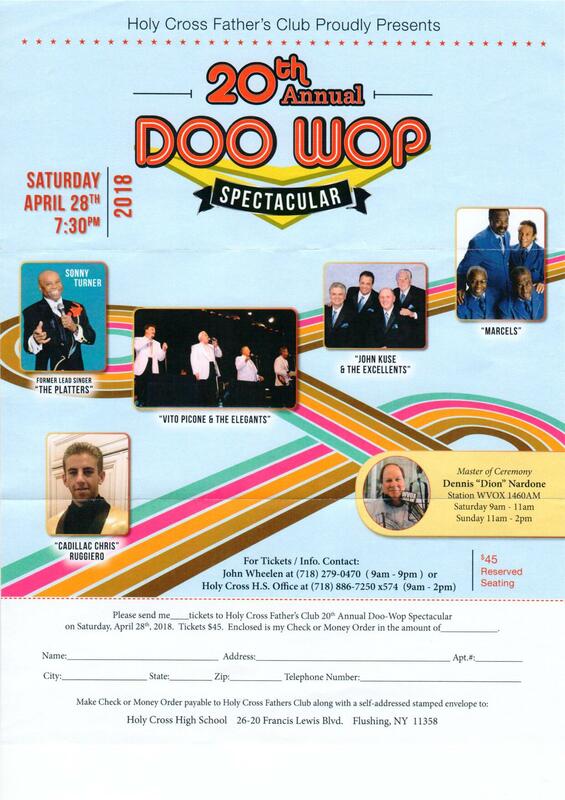 There’s even some gifts being given out during the show, when we give away a pair of tickets to the 20th Anniversary Doo Wop Spectacular at Holy Cross High School. The April 28th show features Sonny Turner of the Platters, Vito Picone and the Elegants, John Kuse and the Excellents, The Marcels and “Cadillac Chris” Ruggiero. Tickets are available by calling John Whelan at 718-279-0470 or the Holy Cross High School Box Office at 718-886-7250 ext. 574.